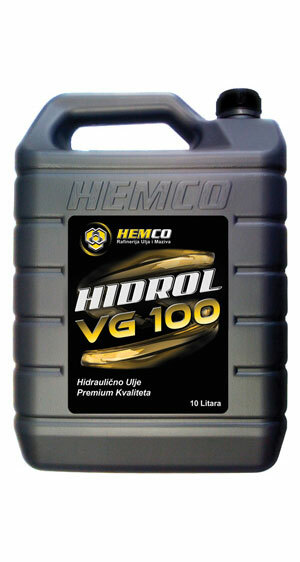 HIDROL VG-100 oil is used in hydraulic systems of mobile and stable machine tools, industrial, agricultural and off-road machinery vehicles that are exposed to normal thermal and mechanical loads. Quality high pressure lubrication pumps. Reduces the build-up and protect the hydraulic system against corrosion. Hidrol oils with higher viscosity grade are used as mediums for the transfer of hydraulic power and higher loads, and for lubrication of bearings and transmission of hydraulic devices in the paper industry and textile mills, construction and others. They have the ability to lubrication under conditions of elevated temperatures. Hidrol VG-22 oil has a lower viscosity grade and it is used as a medium for hydraulic power transmission and lubrication of precision machine tools and spindles with high speed, especially at low temperatures. It performs lubrication of mobile elements: vane, axial, piston and gear pumps. It is used for lubrication of small and poorly loaded enclosed gear. Hidrol VG-32 oil has lower viscosity grade and it is used as a medium for hydraulic power transmission and lubrication of precision machine tools and spindles with high speed, especially at low temperatures. It performs lubrication of mobile elements: vane, axial, piston and gear pumps. It is also apply for lubrication of small and poorly loaded enclosed gear. Alloy additions are providing reduced wear of vital parts of the hydraulic system, and good anti-corrosion properties. 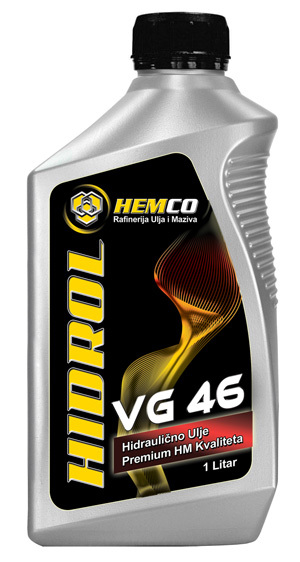 Hidrol VG-46 oil is used in hydraulic systems of mobile and stable machine tools, industrial, agricultural and off-road machinery vehicles that are exposed to normal thermal and mechanical loads. Quality high pressure lubrication pumps. Reduces the build-up and protect the hydraulic system against corrosion.